Freedom Balloon Fest is dedicated to our veterans and military families. Organizers invite you to learn more about the needs of our military families and veterans. There are many ways to help. We hope you'll join us and participate in giving to a few festival organizers are working to help. Help fill our Field of Flags in honor of our veterans, those who wear our nation's uniform and for those who gave all in service to our nation. 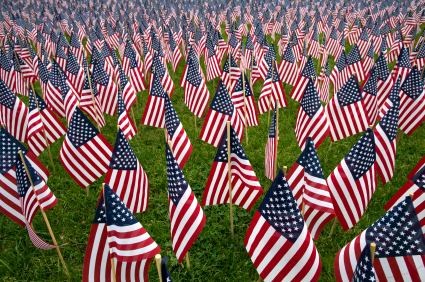 We have a goal to sell and display 10,000 US flags in our Field of Flags by Memorial Day. We're asking for a donation of just $3.00 for each American flag. Your flag will be displayed in a special reflecting area at Fleming Loop Park. It will be a sight to behold. On Memorial Day, we have volunteer groups who will transport the flags to cemeteries, military monuments and VA Nursing facilities. Help us show our thanks and appreciation for our veterans and their loved ones. ALL PROCEEDS from flag sales go directly to the AMVETS Service Foundation. Click the yellow "Donate" button to the right to honor a vet or loved one and help us fill the Field of Flags. Who are AMVETS? Simply put, AMVETS are veterans serving veterans. NC AMVETS Service Foundation is the public fund-raising group, which provides monetary support to the AMVETS Department of NC, Veterans Hospitals, homeless vets, hospital work/visitation, youth programs (Americanism, scouting, JROTC), and service work - providing information, and assistance to veterans in obtaining benefits through the VA system. ​The American Legion was chartered and incorporated by Congress in 1919 as a patriotic veterans organization devoted to mutual helpfulness. It is the nation’s largest wartime veterans service organization, committed to mentoring youth and sponsorship of wholesome programs in our communities, advocating patriotism and honor, promoting strong national security, and continued devotion to our fellow service members and veterans. American Legion Post 116 members have been vital to the success of Freedom Balloon Fest and we salute their efforts year round to support our Host Community in so many other ways. The Legion also raises millions of dollars in donations at the local, state and national levels to help veterans and their families during times of need and to provide college scholarship opportunities. The American Legion’s success depends entirely on active membership, participation and volunteerism. The organization belongs to the people it serves and the communities in which it thrives. Get involved with the American Legion in your area. The U.S. Veterans Corps is a corps of military veterans performing "Hands On” community service and events with a mission/deployment attitude! Come and meet the U.S. Veterans Corps DEMO Team, Paraglider Team and ALL Veterans Parachute team during the festival. While you're there, be sure to ask them about their first Guinness World Record and their latest attempt - in progress - for collecting toys for those in need. You can help. Operation Coming Home - Custom built Hero Homes for troops that have been injured in combat operations. Rescue Ruck/Rescue Me Across America - Food program delivered in ruck sacks to US military & Veteran families. Any type of aid requested. Toys For Lil’ Troops - Provides toys to the children of deployed or low income troops and Veteran families. The American Red Cross’ unwavering commitment to members of the U.S. military, veterans and their families continues to grow and develop more than a century after Clara Barton first recruited nurses to support the U.S. Army. Today, the American Red Cross is meeting the needs of a changing military and expanding services to veterans. American Red Cross support of military members and their families enhances morale and contributes to increased operational capability in several ways. The American Red Cross provides critical services with a caring touch to men and women in all branches of the United States military, active duty personnel, reservists and members of the National Guard, and their families. Through our Service to the Armed Forces (SAF) program, service men and women are eligible for three types of assistance beginning on the first day of enlistment: ﻿Emergency Services﻿, Service to Military Families and Service to Military and Veterans Hospitals. VA advocacy, employment, personal services, education and more. 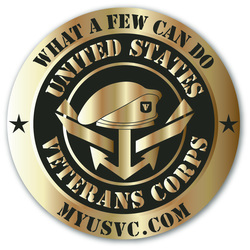 NC4Vets.com is your clearing house for assistance. Many military families are struggling to make ends meet. The NC Foreclosure Prevention Fund helps military families stay in tact, at home. Freedom Balloon Fest is a community service event produced by Project Uplift USA, Inc., a North Carolina non-profit corporation. We are more than just a balloon festival. We invite you to take a few minutes to learn more Project Uplift USA.